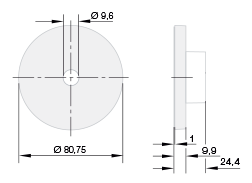 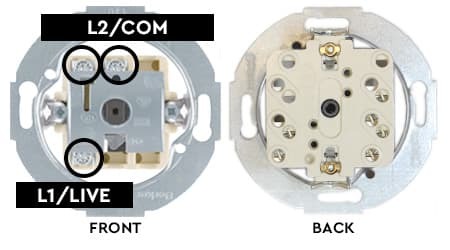 Rotary switches can also function as a “double”, but only in the slightly old-fashioned “1-way” wiring format. 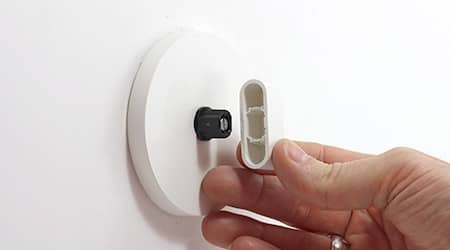 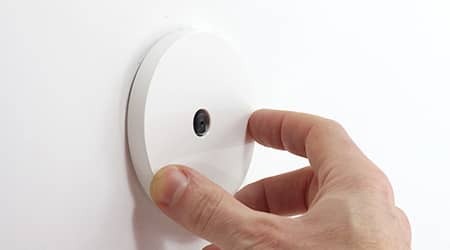 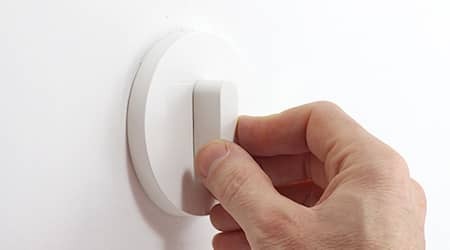 If you need to control two lights with this, check with your electrician/installer that this particular switch version would work for your setup. 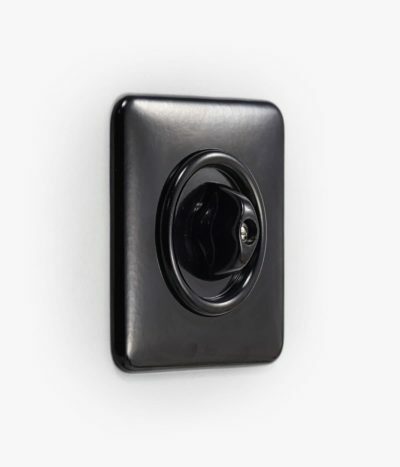 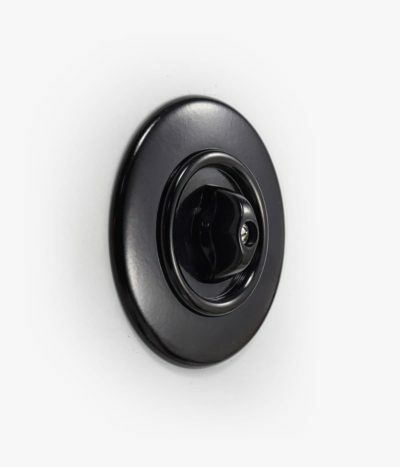 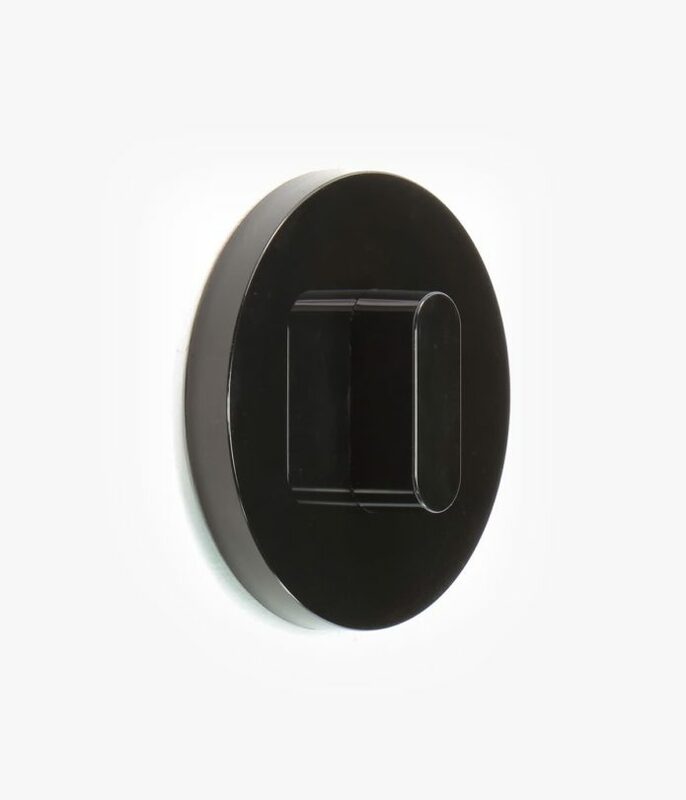 This switch set consists of an insert and a cover plate with handle, fixed with a small hidden screw. 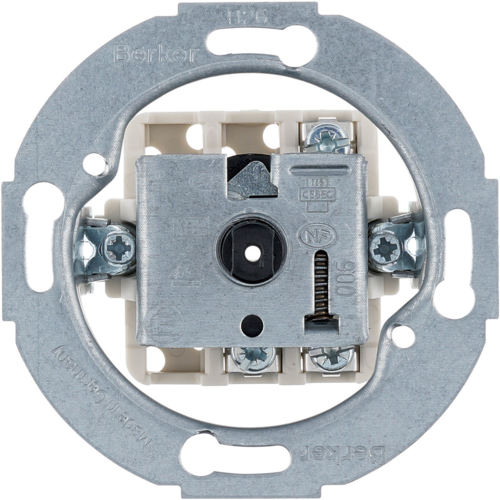 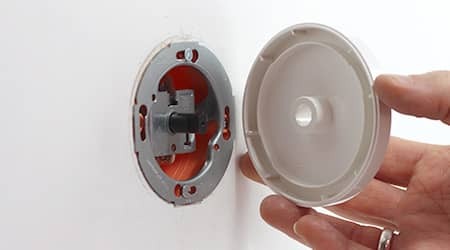 Berker rotary switches are easy to install, but remember, the round backplate versions don't fit onto standard British back boxes! 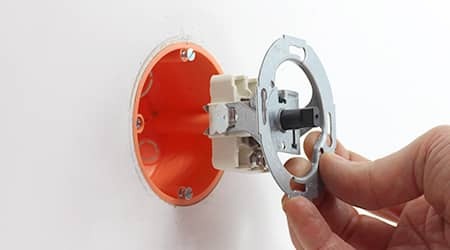 Just follow the step-by-step pictures below or go to our Berker rotary switch installation page. 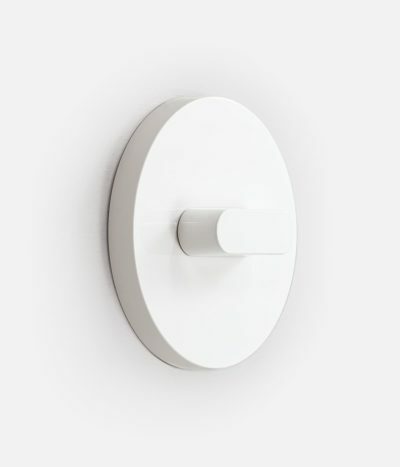 The Berker R.Classic is a truly unique design, which plays on the haptic features and the round shape of our Bauhaus-inspired 1930s rotary switches and gives them a minimalist, contemporary face-lift. 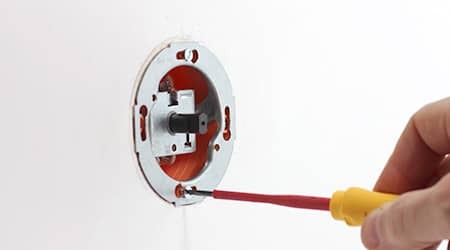 If you secretly admire the pleasing twist of our rotaries but find their aesthetic too old-fashioned, this is the switch that will give you the best of both worlds. 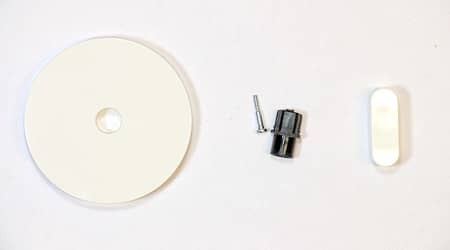 Like the rocker-operated cousin of this family, the Berker R.1, it comes in black or white bases and four cover materials. 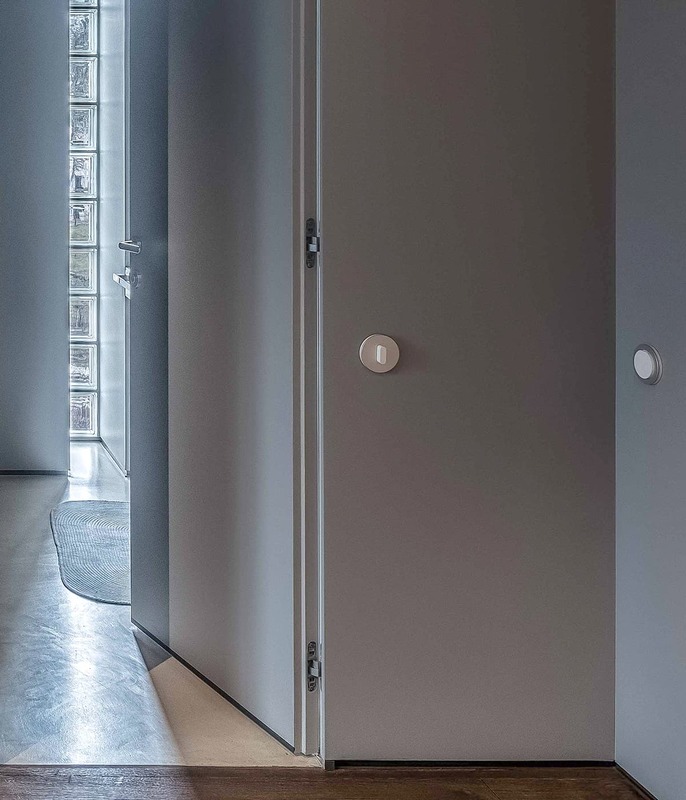 Combine metal and glass surfaces to add some circular conversation pieces to your modern interior. 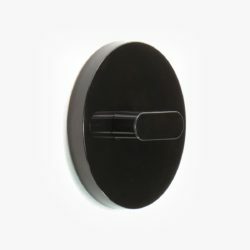 Or turn things around and use them in a period setting – either way, the R.Classic range is a design… well, classic already. 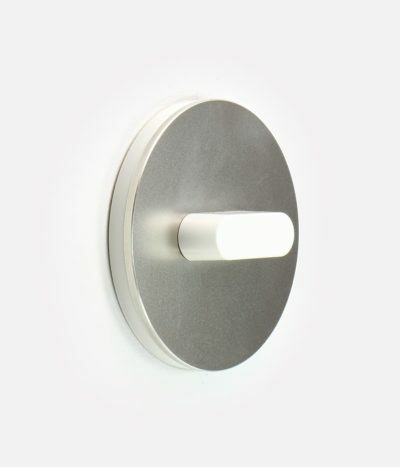 The R.Classic range of materials was carefully chosen around its restrained modernist shape. 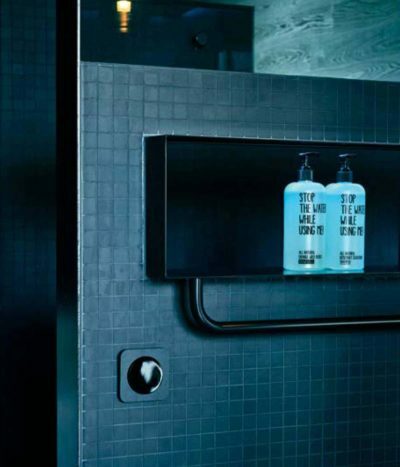 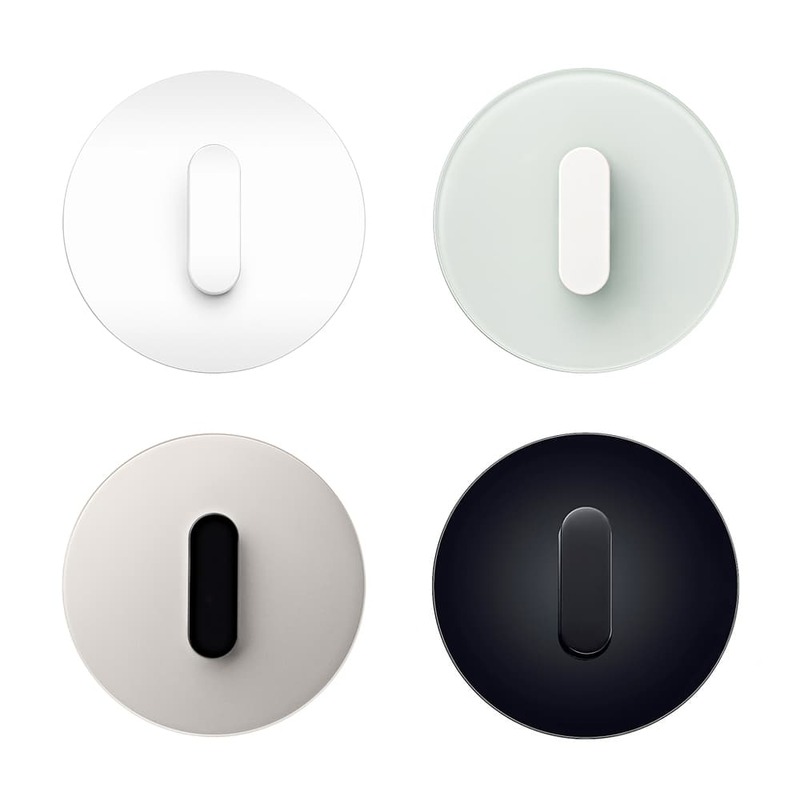 For that reason the surfaces are kept to a timeless palette of monochrome shades in plastic, metal and glass. 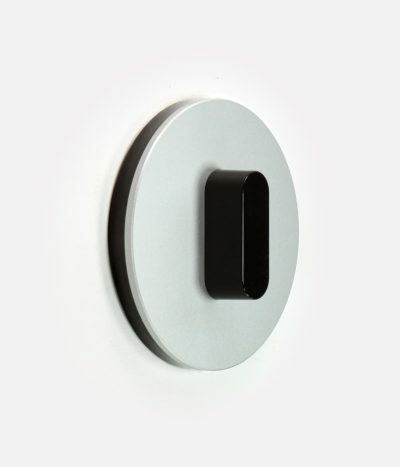 To make the range even more versatile, all materials are available with a white and a black base. 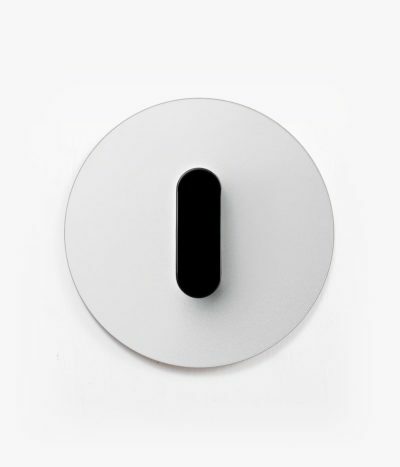 Select and combine them to match the interior scheme, whether it’s the clarity and reflections of white glass or the striking gravitas of stainless steel with a black centre. 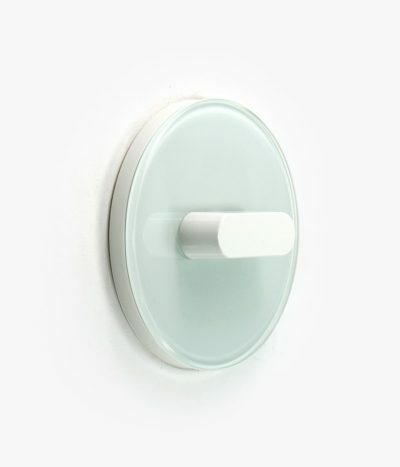 A well-proportioned combination of circular plate and lozenge-shaped handle make this switch not only aesthetically pleasing, but also a joy to use. 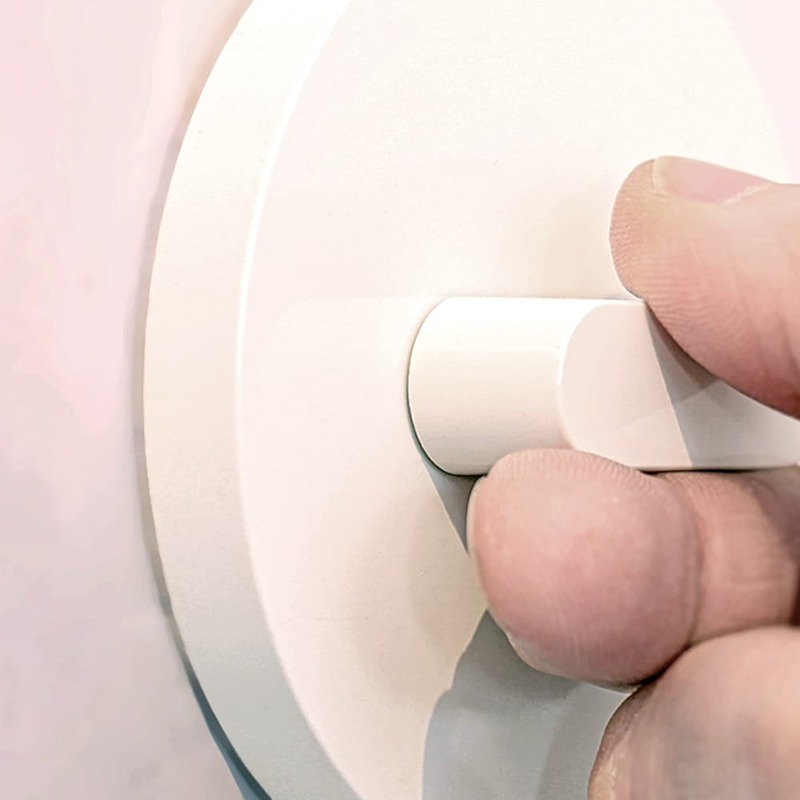 The handle moves in 45º increments and can be turned in either direction, basically switching the light on or off with each increment. 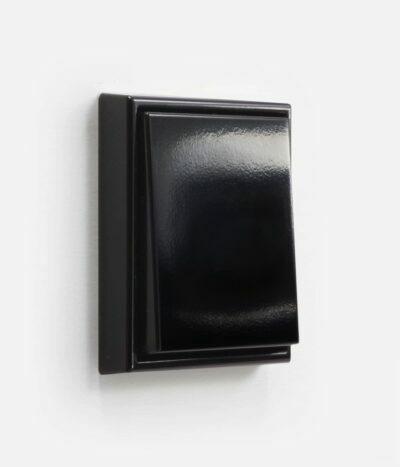 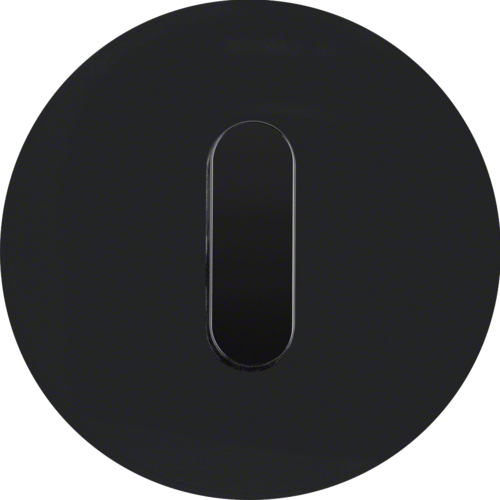 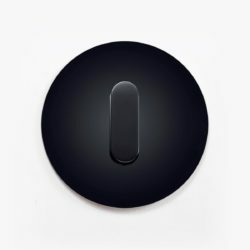 The plate of the plastic versions is in one piece, while metal and glass finishes feature a cover layer of the chosen material, based on white or black plastic. 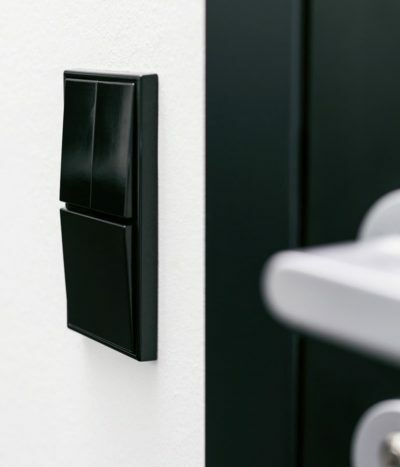 The handles can of course be swapped too – a white base with black handle is a striking combination for a monochrome colour scheme! 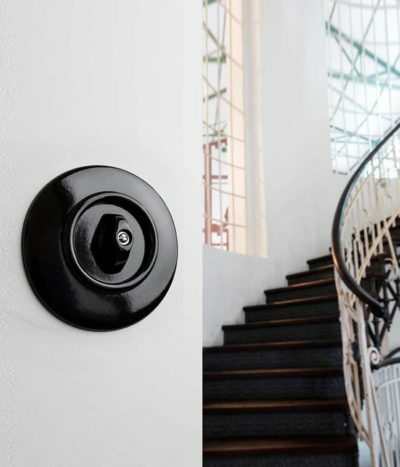 Although the rotary switch is essentially a vintage design from a very different era, the R.Classic interpretation is a much more modern one. 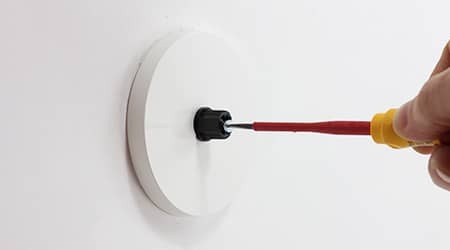 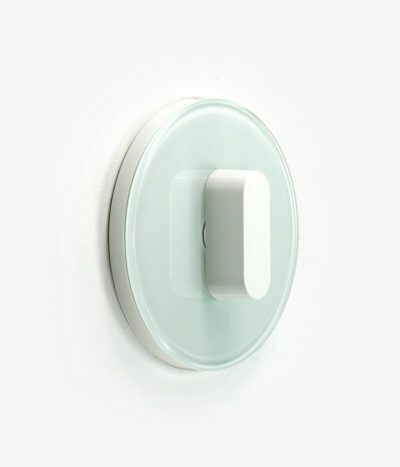 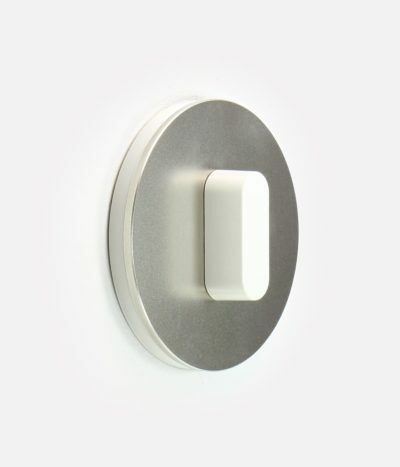 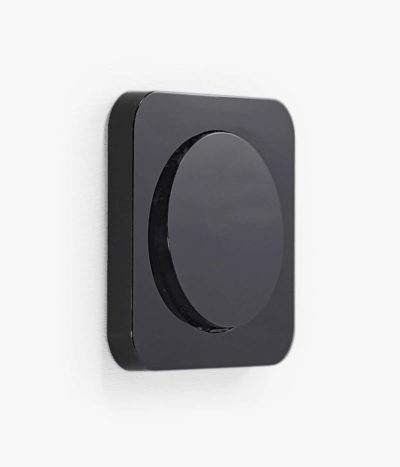 Since it comes in so many finishes, this switch can be paired with many interior styles: From minimalist concepts, concrete floors, white walls and angular architecture - the round shape beautifully softens those sharp lines - to less restrained Scandi simplicity, natural fibres and neutral colours. 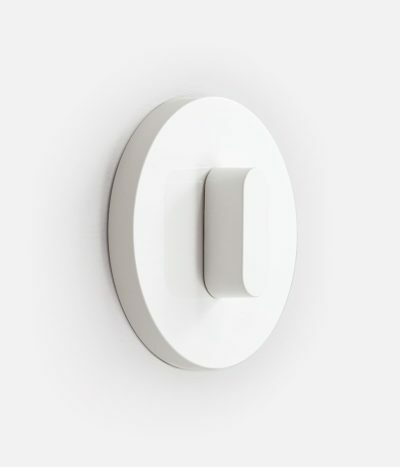 A very adaptable but unique switch!